1/3 cup fresh lemon juice (from about 2 large or 3 small lemons) **I actually only needed one lemon to get enough! Position a rack in the middle of the oven and preheat to 350 degrees F. Grease an 8 by 8 inch pan with butter or shortening and line with parchment paper, leaving a 2-inch overhang on all sides. Pulse the butter, flour, both sugars and the salt in a food processor, or cut with a pastry blender, until the dough comes together, about 1 minute with a food processor or about 3 minutes with a pastry blender. Press evenly into the bottom and about 1/4-1/2 inch up the sides of the prepared pan, making sure there are no cracks. Bake until the crust is lightly golden, about 15 minutes. Whisk the whole eggs and yolk, sugar and flour in a bowl until smooth. Whisk in the lemon zest and juice. 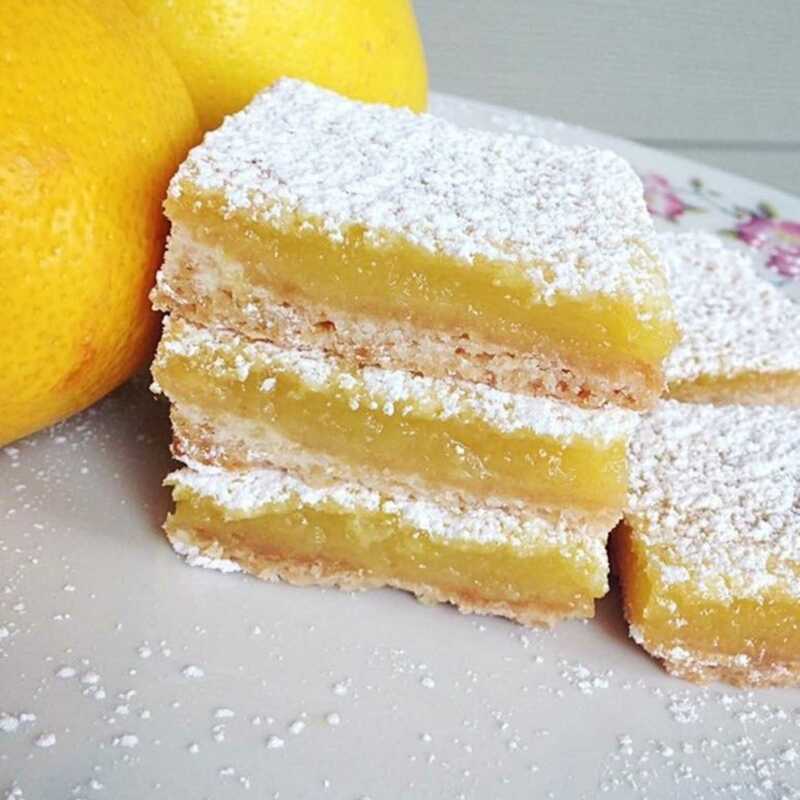 * I recommend using the full 1/3 cup of lemon juice for a nice balance between sweet and tart, but if you like it less tart then add 1/4 cup. Taste and adjust to your liking. Remove the crust from the oven and reduce the temperature to 300 degrees F. Pour the filling over the warm crust and return to the oven. Bake until the filling is just set, 25 minutes. Let the bars cool in the pan on a rack, then refrigerate until firm, at least 2 hours. Lift out of the pan using the parchment and slice. Dust with confectioners' sugar right before serving. Store in an airtight container in the fridge for up to 5 days. Before serving, set out at room temperature for an hour (or you can serve them cold). The best way to share recipes with family and friends.